Upon first shooting with the a7 II, we were really disappointed with the IS performance. One firmware update later, and the a7 II was a whole new camera. Firmware 1.1 gave the camera the ability to start IS when the shutter is half pressed, making a massive difference in the a7 II's real world stabilization capabilities. To ensure we could keep our aperture consistent at each of the tested shutter speeds, we shot using a variable neutral density filter on the front of each lens used. All of the images were shot at f/5.6. For some of the faster shutter speeds we did have to push the ISO up a bit, but the vast majority of the test images were shot at ISO 200. With IS on at 24mm, the a7 II was able to churn out usable images (images that we rated either 'Excellent' or 'Some softness'), more than 50% of the time, down to 1/3-sec, and with IS off, only down to 1/30 sec. This is approximately a 3 1/3 stop advantage at 24mm. Interpreting the data slightly differently, with IS on, the a7 II hit a 20% success rate at .8 secs. It never hit a 20% success rate with IS off, but it did hit 30% at 1/13 sec and 10 sec at a/8 sec. Assuming 1/10 sec was a 20% hit rate, that would give the a7 II a 3EV advantage at 24mm. At 55mm the a7 II hit more than 50% usable images until 1/13 sec. Unfortunately it was not even able to maintain a 50% hit rate with IS off, even at 1/50 sec, it hit 40%. If we round that 40% up to 50%, that would give the a7 II 2 extra stops at 55mm. Likewise, with IS on the a7 II hit 20% success at 1/8 sec and with IS off it hit a 20% success rate at 1/30 sec, again giving the a7 II 2 extra stops of hand-hold-ability at 55mm. And at 200mm, the a7 II maintained 50% or greater success rate down to 1/30 sec, with IS on, and 1/200 sec with IS off, giving it a 2 and 2/3 stop advantage. At 1/200 sec with IS off, the a7 II maintained a 60% hit rate. With IS on, it hit 90% at 1/30 sec and 40% at 1/20 sec. Assuming it would hit around 65% at 1/25 sec, that would give the a7 II exactly a 3 stop advantage. So depending on your focal length, you can assume between 2 and 3.3 stops of hand-hold-ability. IBIS only or IBIS with OSS? When using an OSS lens, the a7 II lets the lens-based IS handle pitch and yaw while the sensor takes on X and Y­-axis movement as well as roll. We were curious as to how this compared against the sensor taking on all IS responsibilities, and so we put a non-OSS lens - the Sony Sonnar T* FE 55mm f/1.8 ZA - on the a7 II for another go. At 55mm, the a7 II performed better with a non-OSS lens using just the IBIS, than it did with a combination of IBIS and OSS. Curiously, the a7 II was able to stay above the 50% success mark down to 1/8 sec. It's not until 1/5 sec where the IS fails. Shooting with the 24-70mm f/4 OSS, the a7 II was able to keep a 50% or greater success rate down to only 1/13 sec. This equates to an extra .6EV advantage using the 55mm f/1.8 over the 24-70mm f/4 OSS. So does this mean that IBIS-only outperforms IBIS coupled with OSS? Not necessarily. The 55mm f/1.8 is a much smaller lighter lens than the 24-70mm f/4, making it easier to handle, and potentially easier to hold steady. It's also possible that the lens-based IS in the 24-70 FE just isn't that great, or as good as what IBIS provides. How Does it compare to other cameras? Simply put, the IS system in the a7 II is very good. But how does it compare? For now, it's one of only two full frame stabilized cameras on the market, the other being the Sony a99. We haven't had the chance to test the a99 with the same protocol we used for the a7, but we have tested the Olympus OM-D E-M5 II using the same test. It's IS system scored between 2.3 and 3 stops of hand-hold-ability, quite similar to the results we found with the Sony, except with a much smaller sensor. 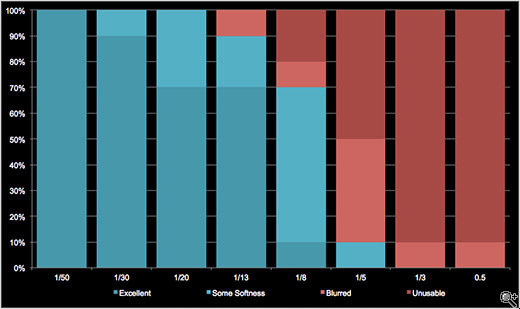 DPR reviewers enjoy their critiques which are typically very negative when they need not be. It wasn’t always so. according to the test parameters on the conclusion page the image quality (raw and especially jpeg) and the high Iso performance are far behind aps-c cameras like the Sony A6300/6500 and the Nikon D5500/5600/7500/7200 how is it possible this is a full frame camera ? And those sensors are much newer (this one's from 2012). Sorry to say but the review is frustrating comparing 2 or 3 different -in every aspect -cameras than a clear review on this specific camera.It happens that not all of us owned previous models so its useless..
but the batteries come in a package that required a table saw to open. i'd love to have & appreciate the A7 II all-metal mount onto my A7, but i can't imagine that the Mk. II does feature only plastic dials onto the body - and this for that asking price ! Like DPR said, my dials onto the A7 are out of metal, aluminium here. That's a huge drawback & no-go into this price class. Some consistency throughout the reviews would be nice, every review seems to have different pages, omitting some one page in one review and different in another. For example I can't find what the custom button and wheel assign-ability is with this model here. Hoping you guys take note and better standardize in the future. I just bought my first full frame camera, the a7m2. I have already taken hundreds of shots and am fairly impressed with the images. I seem to be getting about a stop and a half of acceptable higher ISO photos over my a77m2. Half the reason for getting the a7II was for astrophotography. Last night when I was taking photos of the moon through my 11 inch telescope I was very disappointed in the blur I was getting from the camera. I tried everything I could think of to get sharper photos but when I cropped in I noticed sort of a double exposure effect. I was getting two of the very small details. Tiny craters looked a bit elongated as if I had taken two photos and overlapped the craters half way. All 150 photos I tried were similar in that respect. Anybody have great ideas out there? I am replying to my own message because I have done a few tests since I had the poor performance shooting moon photos. I mounted my a7II on an 80mm apochromatic refractor and took a bunch of photos of the top of a nearby mountain. I tried it with a telescope diagonal and without. There was no difference and there was no blurring, distortion, nor elongation I had seen photographing the moon. I have to conclude that the new camera was just better at catching more detail including various distortions caused by atmospheric turbulence. It seems to catch more of the good and more of the bad than my aps-c camera. It has the same number of megapixels but it puts out twice the megabytes of information that my older camera does. Hope this isn't a dumb reply but, is your telescope motorised to track with the moon? Since the moon is moving during the exposure, I would expect the craters to be elongated into ovals. 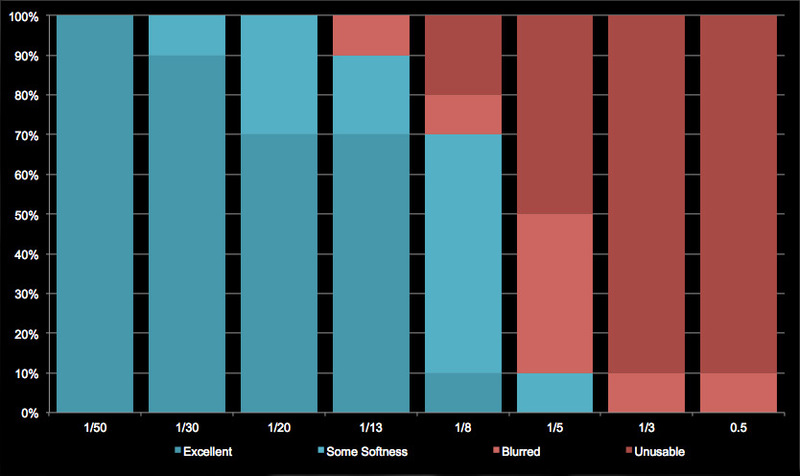 I think this analysis greatly understates the virtues of the Sony a7II, while many Canon and Nikon rigs (that I happen to own) are given inflated performance reviews. I would not be likely to use DPR input in purchase decisions in the future, though select items or specs may be helpful. I bought this camera and a Sony Zeiss 16-35 F4, and I immediately returned it.I use 10 stop ND filters to get very long exposures. At ISO 100, I noticed a heavy amount of noise after 1 minute, even with NR on. A friend says I may have gotten a bad body. Anyone else notice this with 1-3 minute exposures? Does the Sony a700 I I have a setting for auto iso? So using the compare mode, The A7II shows image quality in RAW mode is not as good as the original A7! This review needs updating on RAW image quality with the latest firmware. But I suppose like Ming the Merciless the review was only the play thing of the moment. Is there any way to unclutter the viewfinder display? I find the sheer number of icons ridiculous and distracting. Yes,in the menu you can set it for all information available, or none at all. I really think that DPReview should update its review of the A7ii, in light of the improvements provided by the 2.0 firmware, which both addresses the complained-about RAW compression issue and in the phenomenal improvement in AF with adapted Canon lenses. Frankly, following the firmware update, I cannot imagine that the A7ii would not qualify for a "Gold" award from DPReview. While it may not provide the stellar low light performance of the A7Sii and A7Rii, I would easily say the A7ii is now is 90%+ of the camera that those two are at half the price. That's my $.02. has latest firmwares improve on the high iso noise side? I am seriously thinking about getting an A7ll camera. I now have a sony a77m2 with about eight lens that work well with that camera. Only two of them, both Tamron zoom telephotos, would work well with a full frame camera. I need to know which adapter would be best for those two lenses on the a7ii. I know some adapters only have limited capabilities. Anybody out there with some knowledge about the A to E mount adapters? Yes ?I have both full frame adapters LA-EA3 and LA-EA4. LA-EA3 has no translucent mirror, it solely relies on the sensor tech to focus. It is much slower and trakcing does not feel as confident. LA-EA3 lacks AF motor and hence lenses wihtout motor DO NOT autofocus at all. From the ones with motor I have found f/1.4 lenses to work well f/2.8 lenses do have problems and I have not tried darker lenses. So if you have some very bright Tamron USD lenses EA3 may be interesting to try out. i have the Alpha a7II and find the manual not helpful at all. At the camera store, they had a large book, describing all the functions well. I can't buy it there. Does anyone know where I can get the full instruction manual? I'm having trouble with shooting true color with indoor lighting, no flash, just trying to set-up the CUSTOM WHITE BALANCE. i'M trying this process and it's not working for me. Colors downloaded into my Dell XPS with the jpegs are just not right. Is this the correct process? or is it my computer and Epson 8800? Press middle button again to save it. On the white balance thing this is easy. Find some white object - piece of white paper (not yellowish recycled one). Open your white balance settings (this is either in the menu or can be assigned a button or put in the Fn menu). From the WB settings select "SET" at the very bottom. POoint your camera to the white paper (there is little circle in the middle of the screen/evf that should be over the paper). Press the center button on the rear wheel. Select one of the 3 registers where you want to store the current measurement. You are all set! Colors should be more accurate. Note that A7ii offers various other options to customize colors in JPEG - Creative style lets you pick color rendition that is more suitable for the type of shots you take - portrait, landscape, night shots etc. You can further customize these with saturation, sharpness, contrast and brightness. When I was young, I spent thousands of dollars on cameras, and the 35mm I went with was a Canon EF and later added a Ftb, plus Canon lenses, 24 2.8, 50 1.4, 100 macro f4, and a 200 2.8. Then first came auto focus and Canon changed their mounts and no new cameras worked with my beautiful glass. Well I didn't need auto focus anyway. Then film died and digital was in. I stepped into digital with a Panasonic DMC-FZ10 because I had always wanted a Leica lens because I could see the difference in pictures taken with them over all other 35 mm cameras (from seeing a monthly club contest with one member owning a Leica). I have been dragging my feet on stepping into a high end inter-changeable lens system, but now I have found my camera. Can use my old lenses and get some image stabilization, and prime lenses made by Zeiss, how can I go wrong. First lens will be the 55mm, but the old Canon 50 1.4 will do while I save a little more money. Thumbs up, but film ain't dead. 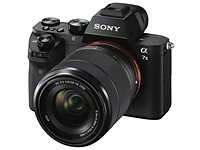 I'm looking for a new FF camera for photo reportaje, photo documentary and street photography, I like to use legaci lenses as well but I'm still veri confused between Sony A7 II and Nikon D750. I think is clear what I prioritize on a camera (fast AF, low light performances, size and weight, unintrusive look, etc.). Does anyone have any good advice for me? Bad review. Concerning IS, the ability to use slower shutter translates to either lower ISO or better DOF. These are real advantages, and not just when wanting to hand-hold. Put a long lens on a camera on a tripod, and you have shake. You end up either using higher ISO than is desirable, or larger aperture. IS helps greatly. Also, in situations where IS will help with picture quality, it also helps with autofocus. With the a7II, if you find a lens you like but it doesn't have IS, no worries. My mind is blown by the fact that they gave the a7II demerits for bigness! The rationale: It is a tad bigger than the smaller mirrorless cameras that people who do street photography prefer. What did John McEnroe say? The only thing that truly makes sense is to asses its size in comparison with other cameras with similar capability, i.e., other FF cameras. What they did here is patently absurd, and it reveals the strong prejudice in their mindset. What a horrible, sophomoric review. So, does the A7 II have shutter blur (shutter-induced, aka shutter shock) in slow shutter speeds (up to 1/250") or not? Is it as good (or bad, if you like) as A7? If you use electronic first curtain does it have any disadvantage? 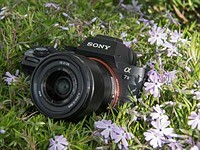 Sony is dire need of a professional level 2.8 24-70mm FE lens. Sony is dire need of professional level lenses at realistic prices. Canon's price level would be perfectly fine with me, but 50% more is not. They will hesitate to do that because it will be the same size as a DSLR lens and all the advantages of smaller size of mirror less will be lost. Yea, that shutter noise... wtf? My 5D iii is quieter.. how's that even possible? Have you really compared the two? I seriously doubt the 5D3 is quieter. The shutter noise of the A7II is somewhat less than the A7, keep in mind. i had Sony A7s/Atomos Shogun combo, it performs good, i am extreamly satisfied with it but i need longer runtime. i found a very good portble V oumt battery for this, it powers my camera very well over 11 hours,if you are relatively conservative about turning the camera/Shogun power off between setups,. The battery also comes with a wall plug for self-charging so no extra charger is needed. I've only been using this battery for about a month now, but I am extremely happy with it thus far. How to add 6 EV to the ISO 100 image in ACR, isn't that limited to 5 EV? Just use several brush adjustments over the whole image => unlimited pushing. Thanks so much for including the shot of the band and description of that low light focus performance. Really appreciate the attention to that kind of shooting, since that's my main interest. I notice that sample shot was not included with the others in the FE35 f1.4 gallery. Not surprising, since the noise is so pronounced, I suppose. The notes say that the photo was processed in Lightroom. Is that the final product after applying noise reduction??? How is a7II with any A-Mount lens performance? Lens like 70-400 or any other telephone lens performance. i am looking for camera for family and vacation use as well as bird photography. I would be happy if i can achieve both with a mirror less since i can invest in good lens for mirrorless which will be usefull in the future. Its decent. Not as good at the older A77 or A77 II. Works better with SSM lenses like the 70-400mm SSM. Basically AF is not very fast with screw drive lenses since it doesn't use a high torque AF motor due to space constraints. Not a an other dial. If you got have that PASM dail. You should have a small LCD to tell you all the stuff you need to know.....like DSLRs. I do not know why SONY does not add a dial on the other side of the top plate where just has the empty space right now. I am looking at trading my Sony A7 Mk2 for a Pentax K3. I find the Pentax fits perfectly in the hand and seems very straightforward with all its controls and dials. Sony feels like a square black brick and many of its usefulness is buried in the menus. Am I doing the right thing or should I hang on to the Sony. 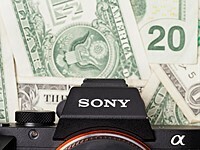 Sony's lens for the A7 are more expensive than the Pentax lens too. Pretty much a step back in every respect (especially image quality) except how it feels in your hand. 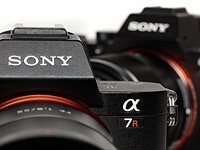 Larger, more expensive lenses = full frame and Sony's take on the A7 market. If you don't like menu digging, learn how to assign the buttons. There's custom ones in addition to reprogrammable others. The only things I wish I could do on my A7II without menu diving are turning off picture effect preview (brightens LCD/EVF for manual flash work, etc.) and a toggle for LCD info only. Just about everything else can be put on a button or the quick Fn menu. Steve Huff says the A7II's JPEGs are some of the best JPEGs he's seen. Why is there such a LARGE disparity between what he's seeing and what you're seeing? Because Steve is a fanboy. FWIW Bluevellet is an anti-Sony fanboy, regular troll (among many other non-Sony folks) in the Sony forums. Steve is a fanboy for anything he gets his hands on, so he's equal opportunity that way, at least. Most pointless and pettiest retort ever. "Yes, he's a fan boy so it explains the disparity, but you're a worse fan boy so it must be pointed out because I can't bear the thought of agreeing with you on anything". Jeez, taking camera discussions too personally? I realize this is 2 years late, but Steve Huff isn't a fanboy of anything. My issue with the review is that they're telling you the jpegs are bad and then they won't let you download any RAW files from their sample galleries. Can some of the short comings be addressed via a firmware upgrade possibly? Like the moire in video, noise in High ISO, AF Tracking improvement and maybe a more silent shutter mode etc? We are in May; one third of the year has gone. Since the beginning of the year  Nikon has issued 16 new cameras, Canon 14; Sony only 2 and they are pockets cameras. We have been using Sony cameras for a long time with spectacular results. This company has always been known for innovation in everything they make. Still waiting for the a7000! Stop believing the rumors about the A7000, it's pure fanboy fantasy. There's no A7000 coming. If you want something better than the A6000, Sony wants you to go FF. They won't release a high-end APSC body cannibilazing their own FF camera sales. All the lens development is FF. And number of camera released is pretty pointless. I had the A7 before and now I have the A7II with the 24-70 Zeiss. This last combination is getting a bit heavy to carry all day in my traveling days. So I was looking forward to an unobtrusive small camera that won't alert the guards in interesting places. I do not need wall-size enlargements; a double-page magazine spread will do. At that scale it is not obvious which shot has been done with FF or DX. The NEX-7 and later the a6000 were very useful and racked thousands of images. We got everywhere with them and were the happiest. In former times I carried a Canon 1Dx and other heavies. Not any more, now that the quality of the sensors has gotten so good. D'oh! Lot of crow to be eaten in the comment section of these reviews. I'm wondering if Sony has a design department? Isn't there an error in your version of the specs? AEB allows not just 2EV but 3EV intervals at 3 and 5 frames. This is of some importance for HDR work. Battery life of only 350 shots?! Sony, are you serious? I'd rather carry a couple of extra batteries than needing a tripod for just about every shot because of mirror vibration and lack of IS. The battery life will be much longer if you use a manual lens and disable the screen, using only the viewfinder (which will shut down whenever your eye is away). Even more if you disable IBIS. I used like 15-20% of the battery over 200 shots, that way. And using a manual lens is not that hard on this camera. DSLrs are easier to stabilize than mirorrless ones. Neveretheless, for shutter speeds longer than 1/15 you'll need a tripod anyway. But for workflow having 1000 shots per battery is more convenient than changing batteries. "DSLrs are easier to stabilize than mirorrless ones. " Why is that? So Dslr's have mirror lock-up, why? Is it because of mirror vibration...maybe? And if the mirror lock-up is engaged, you'll have to use a tripod. "Neveretheless, for shutter speeds longer than 1/15 you'll need a tripod anyway." Depends on the lens you'll be using. Either way you look at it, you can use a much slower shutter with IS than without. "But for workflow having 1000 shots per battery is more convenient than changing batteries." How convenient? About 30 seconds to change a battery? Unless you're a journalist covering non-stop action, I don't see it as a big problem. Good lord, how did photographers survive when they had to reload after 36 shots? Mirror lock-up is used usually for super macro or long exposure when on tripod. This feature isn't for handheld use anyway. If you're human chances that you consistently make sharp pictures at 1/15s are very low. With any lens. Very convenient. Wedding/sports photogs usually add a grip (meaning more weight) for more power, because these seconds can be crucial. Sony claims this camera is for professionals. It sports professional features. It costs as rivals DSLRs. Why then is the battery life sub par? A good guess why battery life is shorter than other cameras is the IS system, which is the reason I bought the camera. Using a tripod and mirror lock up slows me down, and restricts my movement. It's a feature I would gladly carry extra batteries to have, considering how light Li-ion batteries are. I don't shoot weddings, sports, or news. There are other professional venues besides those, where taking the 30 seconds to change a battery is not a big deal. Go ahead, hold on to your DSLR and continue to justify it's lingering existence. Some of us have moved on to take advantage of what mirrorless has to offer. Learn to deal with diversity, and be happy there are choices. I'll leave the tripod/mirror lock-up discussion aside as you don't understand what they are for. Battery life is significantly shorter on mirrorless because the screen is always on. Take all modern smartphones - they boast great screens but one must charge them at least once a day. On DSLR you can shoot all day long through the (optical) viewfinder on a sole battery only occasionally checking the results. The reason why I am on DSLR are the vast range of lenses, flashes and other accessories. Sometime mirrorless will also offer such a diversity but not yet. >"I'll leave the tripod/mirror lock-up discussion aside as you don't understand what they are for." Presumptuous of you. For that I'll assume you don't know what a camera is for. "Battery life is significantly shorter on mirrorless because the screen is always on. Take all modern smartphones - they boast great screens but one must charge them at least once a day. On DSLR you can shoot all day long through the (optical) viewfinder on a sole battery only occasionally checking the results." Oh is THAT why my old DSLR finder has such good battery life! I thought it's magic. "The reason why I am on DSLR are the vast range of lenses, flashes and other accessories. Sometime mirrorless will also offer such a diversity but not yet." Vast range of lenses? I can put literally ANY lens on my mirrorless cameras, as long as there's an adapter for it. Whatever lenses your DSLR can use, my mirrorless can. Plus lenses from the old film days. My 38 year old Zuikos work nicely on my Sony A7II. "Vast range of lenses?" Pardon me, I meant AF lenses. There is an AF adapter for Canon. And of course an AF adapter for Sony/Minolta Maxxum lenses. I will have to assume you don't know what a focus ring is for. You really use AF while your camera is on a tripod, and the mirror locked up? nice adapter, didn't know such existed. According to customer's reviews AF is sluggish, but still better than nothing. Shame Sony or another respectable maker doesn't make such adapters. This one looks very cheaply made and I doubt many people would risk mounting their heavy premium lens. "I will have to assume you don't know what a focus ring is for. You really use AF while your camera is on a tripod, and the mirror locked up?" I use manual focus only when shooting macro only in live view and only on a tripod. Recently did a ten day trip to Newfoundland with the Sony A7 II, and a bunch of vintage Olympus Zuiko OM lenses, shooting landscapes. Battery life was never a hindrance. I carried 2 extra batteries in my pocket, which by no means slowed me down as much as having to use a tripod would have. It was nice having an effective IS system on all of those 38 year old lenses. Some of the shots were using a 200mm f4 lens handheld, with no motion blur. I prefer to use manual focusing on all of my work, like I have for the last 43 years. The A7II makes MF very easy. Changing a battery is lot easier than reloading the camera with film after 36 frames....I feel spoiled. For me to buy this camera only one thing is missing, the full video controls via phone. I guess in a year or two, every camera is going to have this and 4k video. I agree with one of the comments that cameras these days are all amazing in terms of quality, performance that we are just splitting hairs! I think the review was too focused on image quality comparison at crazy ISO ranges and the bulk of the camera, which to anyone who does a blind test realizes the a7ii is much smaller and lighter than any other Full Frame camera. What the review looked over entirely (or didnt stress enough) was the huge amount of compatiability this camera has with legacy lenses. Add in IBIS and suddenly all those MF lenses has OSS! Also, it never mentions any of the app driven aspects, where you can do some neat post processing, upload to social media automatically and best yet, use your phone as a viewfinder when trying to take shots of groups or even when putting the camera on crazy ledges in nature. On the flip side, the bad battery life was never mentioned? It sux! did they actually use the camera? I have nikon and this...nikon collects dust! Excellent review with lots of useful information! Thank you for the review of this camera. I was waiting for it to be online, because I really was thinking about buying this camera. But there is one thing that makes decision-making diffcult: When I'm looking now at your latest review of the Samsung NX1, I could think that this is probably the right camera for me. Gold award. But when I want to compare it to the Sony A7II, it's not possible. I know that this is not possible because these two are cameras from different groups, APS-C vs. FF. BUT... the price ist almost the same. So what should I do if I want to spend about this amount of money for my new camera, and it does'nt matter if it's APS-C or FF - which one should I take? Which one offers the better value for my money? I know that this of course depends on my individual demands, but you probably know what's my problem now. I use a 5D Mark II, and the A7ii is a lot lighter and it's a great deal smaller. For a FF DSLR user, it's a very comfortable step away from lugging a brick. It's only bulky compared to its lesser APSC brethren. The only thing holding me back is the lossy RAW, and I thank you for making a strong point about that. Maybe Sony will do something about that with a firmware update... Fuji would. It really is a very good camera, and I am glad our review could help you. I personally found it bulky, but that is just my opinion. At the end of the day, what really matters is how it feels in YOUR hands. I'm glad you got to take some time to play with one in person and find out! ...so any point and shoot will do. I havent found the shutter to be excessively loud at all? Maybe compared to a phone cam it is. The image stabilisation works really well with adapted lenses, i was using it handheld with 1/15-s/speed @ fstop-11 at 7pm in the evening iso 600 28/3.5 ais nikon lens getting pretty sharp reasonably bright results. The colour is natural, resolution is plenty, some files when taken properly kinda look great to me. I dont really care what anyone says in reviews, glad i bought it and feel like i got a nice bit of kit for my budget. If canikon, fujolympus, or sonysung made something like it, i probably would have considered buying it from them, but, they dont yet, so how can i?They all make good cams though.Id have any, within my budget. All about bang for buck. I had a go with the A7II in the store, and I agree with you about the dials. I had an NEX-7 and am now using the A6000, and while the grip on the original A7 isn't as nice as the one the A7II, the dials were much better. I shoot in full manual, and the original A7's dials are way more comfortable for quick changes. Like the NEX-7, the A7 is a camera that you needed to spend an hour or two painfully customizing buttons and settings, but once done, it becomes pretty darned good. I'm not sure why you'd consider the shutter loud however. With the electronic first curtain, it's only slightly louder than the A6000, and still a more discreet package than most DSLRs. I do agree it's a bit heavy though. Not unbearably so, but it does feel less of a size/weight advantage (for a mirrorless) compared with my A6000. I suppose if you were coming from a full frame DSLR, the weight savings are immediately obvious. But if portability was your first priority, this wouldn't be your first choice anyway. Reading these comments, I'm a little surprised at the lack of professionalism from reviewers and other commenting DPR Staff. I kind of expect it from random internet folks, but I'm not sure why the reviewers are in the comments calling people "sony fanboys" and such. I understand that reading the comments must be frustrating, but getting down in the mud yourselves doesn't exactly give credibility to the review or the site. Hi All, How does the A7II JPEG compare to the XT-1 JPEG? I played with the X-T1 at the store and love the JPEG colors, however I haven't tried out the A7II. Then, ask yourself - and I am serious here - "Why am I considering spending this much money on a camera only to shoot JPEG?" Yes, there are many bodies that provide better out-of-camera JPEG results... but you are leaving SOOOO MUCH on the table by not using RAW. I liked the feel and weight of the A7ii. So, I double-checked this: When in any auto focus mode, the focus ring is non-functional. In order to utilize it, you must (in the menu) choose 'manual focus'. And vice versa. There were several reasons I sent mine back - noisy high ISO, no quick review at 100%, inconsistent follow focus and I'd like to be able to review on the LCD instantly, not the EVF. But the focus ring being non-operational except by the menu - that's a deal killer. I'm checking out the Fuji line next. You can set it to DMF, which allows you to override the focus on any compatible lens, which should be all FE and E mount lenses, and most of the higher end A-mount lenses if you're using an adapter. The Sony menu system is conflicting. Is it like this for canikon? If you want eye AF then you must be in AFs and if you want tracking you must be in AFc. And as you said, if you want DMF then you select that from the menu. Even if you assign one of the buttons to make it a quick change, it's frustrating to me that I can't use it all at the same time. I'm new to photography, though, so maybe this is the sort of thing people have always put up with? 1) First, read the manual. Hi, what's DPReview's test methodology to suss out a camera's IS performance? Is there a link somewhere where readers can have a read to understand how it performs this test? Pardon me if it's somewhere already on the page but it's not obvious to me old eyes. I thought DPReview's A7II review was justified to criticize the lossy Raw files. It didn't used to be that way for Sony's files. Nikon's option to select lossy RAW or non-lossy RAW is a much better way to go. Traditionally, mirrorless cameras appeal to users seeking a smaller, lighter option to DSLRs. The a7 II is not particularly small or light, though to be fair, it is smaller and lighter than any full-frame DSLR on the market. Unfortunately, DPReview chose to exhibit their bias against mirrorless FF. I don't own any A7 cameras - but they are at the top of my list as a future purchase. So because I found the a7 II to be bulky, I'm biased against all full frame mirrorless cameras? Ive got it and its not bulky at all, its rather compact for ff. To add some perspective...the differences in camera weights here are not huge. For instance, A750 at 750 grams v 600 grams for A7II...is 5 ounces. So I played with one of these in BestBuy today... and was totally SHOCKED by the vibration and shutter sound of a camera without a mirror. I looked at the sales rep with my patented WTF? look on my face... he laughed and said "that is simulated sound". I said " yeah, ok, but what about the mirror slap and shake, I can feel it, it's worse than my last medium format! That's not coming from a speaker, it is more like a sub-woofer!!!" He said you could turn it off in the menu, but then couldn't find the option. I was looking at the 12MP A7 and found where to turn on "silent mode" that model, but only can turn off in non-green mode programs. Weird!!! Once I got silent mode on the 12MP model, it was like my cell phone. Zero sound or shake. I can see wanting an audible confirmation you took a pic, but could someone please explain why any person would spend all that money on a FF camera with in body SR and want to add simulated noise with camera shake??!!!! Doesn't the A7 have a mechanical shutter as well? So it's not really a simulated sound. If you read further in my post, on the 12mp version there was a menu option for silent mode, and it truly was silent with no shake at all, just like using your cell phone. The violent shake on the A7 II was just crazy! The A7/A7ii does not have a completely silent mode like the A7s. It has a shutter, but there are two modes of operation - normal (close,expose,close) and electronic first shutter. The first has a metallic double click, the second a single click, but completely vibration free for the exposure. It's a little louder than my M9, but much quieter than my D3. Hey, I can take a jab with the best of them, and I may have been laying on a little thick. That said, ... I have owned and shot with Pentax 6x7, Bronica S2, and other medium formats known for their hard mirror slap, so I know it when I see it. No, the A7 wasn't to that level, true. I guess what got me by surprise was that I wasn't expecting to FEEL anything at all with the A7 series, just expected an electronic sound. It's definitely more than just a sound, its a tangible tick-tock you can feel holding the case. An I guess I said violent in a relative way, meaning, I consider it violent because almost all the DSLR I have shot with full OVF and Mirrors shook about the same or LESS than the A7. (Pentax K5, Nikon D610, D810, D90, etc.) So, I am sorry if you were offended, I am glad you are happy with yours, I'm sure it works fine, I just didn't expect to feel it to that level. Wow... devolving into calling people names now... I guess I just imagined being in BestBuy and playing with the floor model while talking to the sales rep working the floor that day. Ho hum... And, I'll say it again for people with reading comprehension issues... violent relatively to what I expected, not violent in of itself. Lastly, if you don't take my word for it, I just did a quick google search for laughs on A7R shutter shock and A7II shutter noise, and you will get more hits than you can shake a shutter at. LOL. Have fun. Well i own the camera and shoot every day with it, theres no violent shake, in fact with electronic curtain shutter enabled its pretty quiet and behaves like any ilc does. Too funny... Yeah, i found a zillion hits and some youtube vids of A7 shutter clacking from others with similar complaints doing a google search AFTER a couple disgruntled fanboys accused me of being off base. I didnt know it was a crime to do research to back your claim (and to see if it was just me). Lol. Maybe if this becomes a federal case you can ask bestbuy for their security cam footage to watch me playing with cameras on my lunch hour. Heh. Have fun, I got better things to do than feed the trolls. btw, elec frnt curtain shutter is very quiet,hardly any noise at all nor 'clack" lol, so again, you are wrong, and making up stories about a camera you probably have never used/ u wonder why i call you out, cos i own it, thats why, and you are not telling the truth, shame on you. yeah, its such a loud poor camera that its sold out practically in aus since it was released? look that up on youtube. Ya know, I am many things, a liar isn't one of them. I did feel bad about some of the reaction here so I went back to BestBuy yesterday at lunch (need to grab a printer) to see if I was having a bad hair day the first time. Here is what I found. The display models shared 1 lens, and the others had body caps. The ones with body caps seemed to vibrate more and were louder. I had the sales rep allow me to move the lens from the A7S to the A7II. It got much quieter and the mass of the lens absorbed a fair amount of the shutter clack. So, I'll retract my "violent" statement, at least when a heavy zoom lens is mounted. As to your Youtube comment. Turn on your sound, and this vid pretty much reflects my experience as to noise and vibration with a body cap only in the store. I really was only posting to share my surprise that a non-dslr had ANY noise and vibration at all, never mind as much as this one has.